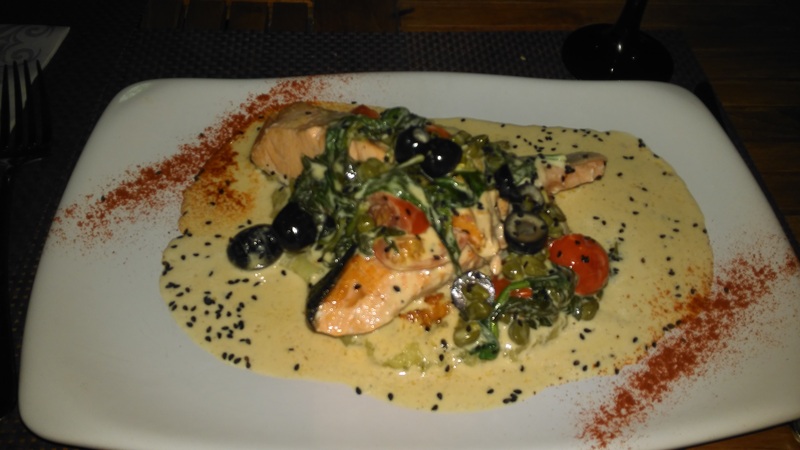 I’ve had the rare opportunity to live in Mijas. We rented a lovely but very old Villa on the road that leads into the town. 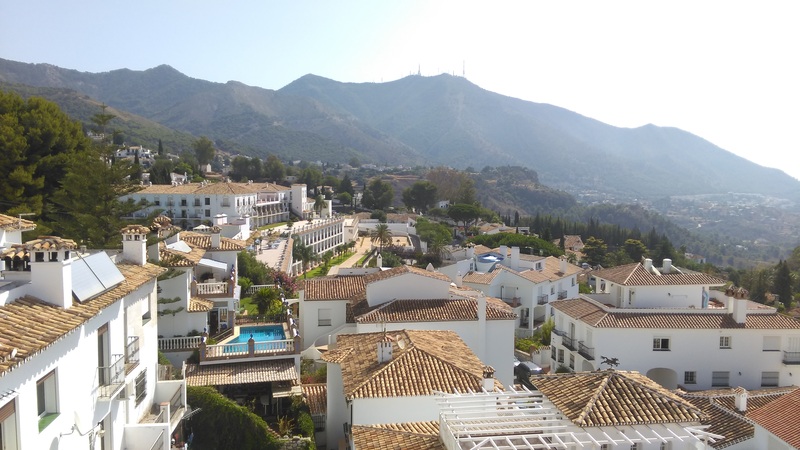 The roadworks were being carried out while we were there however have now completed and Mijas is a buzzing, beautiful old town to both live and visit and its hard not to fall in love with it. The views from Mijas are amazing. The buildings are white wash with blue flower pots a plenty on all the walls. The plaza has been completed and is now a safe place for children to play both day and night time. There are many events held here throughout the year, including this year’s World Padel Tour Championship. The annual Feria which can last up to 5 days and various markets and other events for all the family. 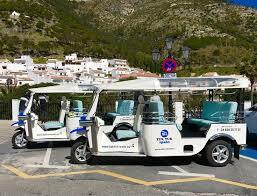 There are various ways in which to see Mijas, horse and cart, donkey taxis and the Tuk Tuk. 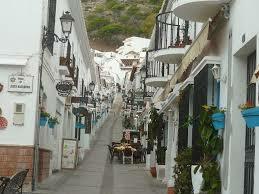 The latter is by the best way to see Mijas. The horses and donkeys have come under much fire of late as they are a controversial subject of matter. 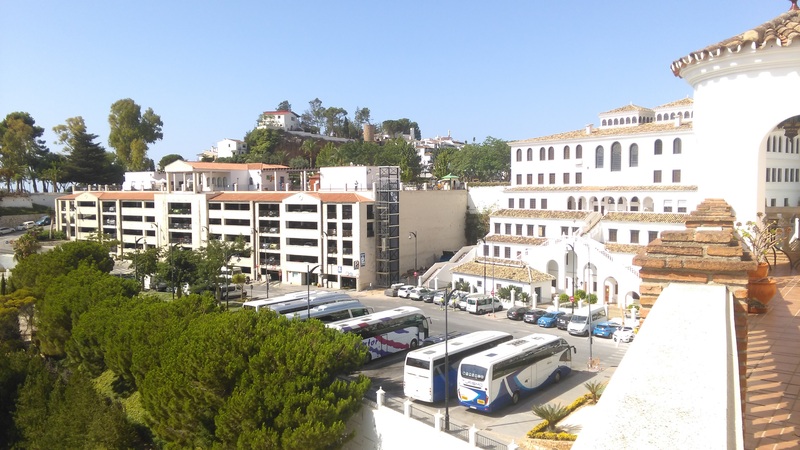 Each mode of transportation is not expensive and its great for the tourist revenue in Mijas. 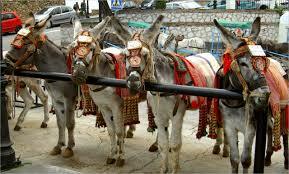 Mijas is renowned for its donkeys and in almost every shop you can buy something donkey related. A rare and quite random and strange attractions is the Miniatures Museum. Inside an old gypsy wagon is a display of weird and wonderful items with even smaller items painted, written, drawn or inside them and with almost all of them its necessary to look through a magnifying glass to see them. 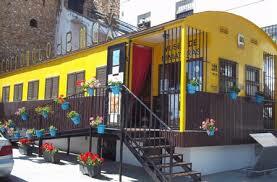 For only 3€ per adult and 1.50€ per child it’s a cheap and cheerful thing to go and see while in Mijas. Another attraction for all the family is the Monkey Chocolate Making Factory. Spend time creating your very own bespoke chocolate bar and then take it home with you. Incidentally Calle San Sebastian is one of the most photographed roads in Spain. 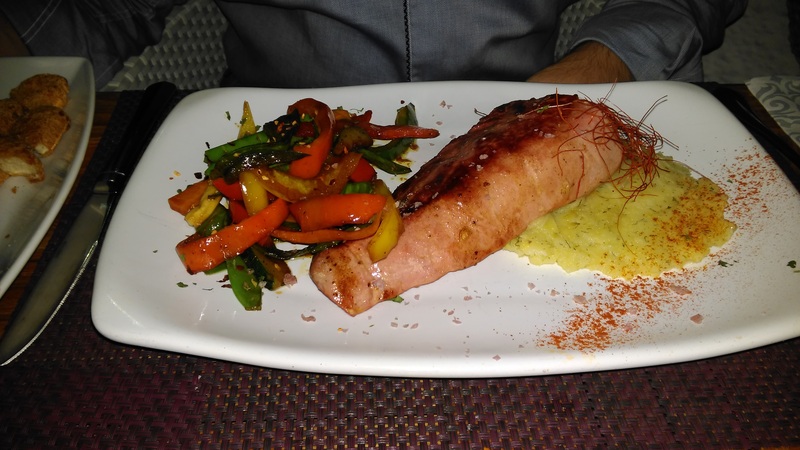 If you’re in the Costa del Sol, be sure to put Mijas Pueblo on your to do list.